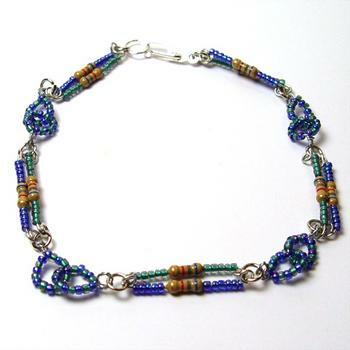 This bracelet is made of 1/4 watt resistors as found in electronics and which are RoHS compliant. (No lead) There are green and blue seed beads that make up the rest of the design. This bracelet is 7" long and can fit most wrists. Please feel free to email and special order a smaller or larger size.